Crofters Cottage in Onich, near Fort William, Highlands sleeps 4 people. Crofters Cottage near Fort William is surrounded by mountains, breathtaking views and has direct access to the shores of Loch Linnhe; this detached cottage is perfectly based for exploring the west coast of Scotland. Ferry trips to Mull, Staffa and Iona are popular days out. Drive to Ardnamurchan, the most westerly point on the British mainland, or follow the famous road to the Isles and visit the magical Isle of Skye. Wildlife is in abundance and offers the chance to spot deer, red squirrels, minke whales, golden eagles, otters and porpoises. The area is renowned for its outdoor pursuits, and there is excellent climbing, biking and walking nearby. Glencoe, Fort William, Oban and Loch Ness are all within easy reach. The shop is 220 yards from Crofters Cottage near Fort William, with the pub and restaurant being 440 yards from Crofters Cottage. Living area: With 32 Freeview TV and DVD player. Economy 7 heating, electric heaters, electricity, bed linen, towels and Wi-Fi included. Travel cot and highchair available on request. Enclosed garden with sitting-out area and garden furniture. Private parking for 1 car. Wheelchair access. No smoking. Holidays at Crofters Cottage run from Friday to Friday. For a better idea of where Crofters Cottage is, you can see Crofters Cottage on the map below. 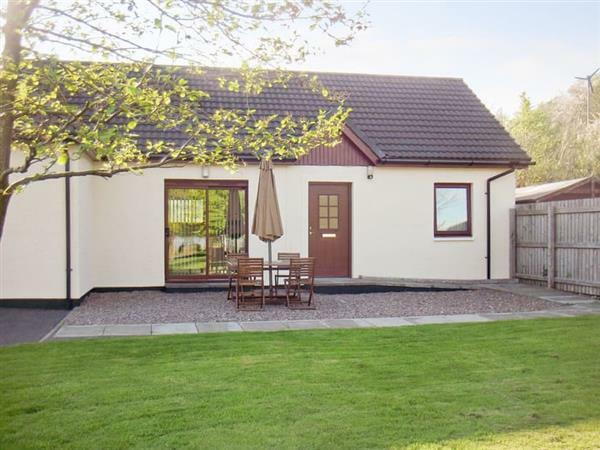 Do you want to holiday near Crofters Cottage (UK10664), you can see other cottages within 25 miles of Crofters Cottage; have a look to find your perfect holiday location.